people. It is this simple fact that is causing the government to use every possible situation at its disposal to defame cannabis and all of its proven uses and benefits. Unfortunately, that includes using the extremely sensitive story of a young man and his death at the hand of a police officer. The story of Michael Brown is widely known and surrounded by debate. The death of a human being, provoked or not, is always an unfortunate and sorrowful event. This particular issue centers around the use of deadly force and whether it was justified. When a blood test found traces of marijuana, but no other psychoactive substances in Brown’s blood, one would have thought that the issue of intoxication would be off the table. 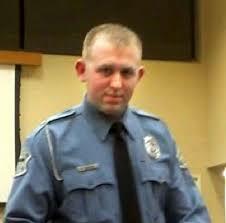 Especially when the level was lower than that of the outdated government comparison of “one joint.” However, that was not the case as the transcript shows in the testimony heard by the grand jury that rejected criminal charges against Darren Wilson, the Ferguson, Missouri police officer who shot and killed Brown on August 9. St. Louis County’s chief toxicologist, Christopher Long, emphasized that such reactions are rare. “You smoke a joint and you chill out, that’s generally what happens.” According to Long, Brown’s blood contained 12 nanograms of active THC per milliliter, which he said would not be unusual for a recreational user who had smoked pot within the previous two hours. A study in 1992, reported in the Journal of Analytical Toxicology, found that subjects who smoked one joint had concentrations above 100 nanograms per milliliter directly after ingestion. This is dramatically lower than Brown’s blood level that is being associated with actions usually attributed to drugs like PCP or cocaine. This however did not stop the effort to confuse the grand jury into seeing cannabis as the cause of all the violent behavior. Alizadeh attempted to obscure the point by noting that Brown’s THC level was “over twice” the cutoff that Colorado and Washington chose for drugged driving after legalizing marijuana. This arbitrary limit is highly unrealistic, treating many regular users as impaired even when they’re not. The fact that Brown was over this limit does not mean that he was a danger to himself or others. The idea that one tenth of a joint would cause a person to forget themselves and charge a police officer openly firing in their direction is laughably ridiculous. This shows either, how little the District Attorney knows about cannabis, or that intentional misinformation is just part of the daily routine. This unfortunate incident should not have been a platform for the government’s attempt to maintain an antiquated anti-marijuana campaign. It appears that the opposition will jump on any chance that presents itself regardless of its tasteless manner or inappropriate timing. The idea of marijuana induced psychosis is reminiscent of “Reefer Madness” days and its outrageous claims. There have been many studies on this topic, one in particular from Harvard, that show cannabis can only trigger schizophrenia or psychosis for those with a predisposition towards such an illness; cannabis can be the catalyst but not the cause. Which simply means that marijuana use might trigger these in a person if said person already has a tendency to suffer from such an illness. Which simply means that marijuana use might trigger these in a person if said person already has a tendency to suffer from such an illness. Furthermore, this onset of psychosis would not show itself in a raging moment of psychotic action directly following a joint. 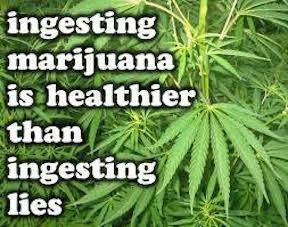 It would possibly be triggered by the marijuana ingestion and begin to show over time. This claim that Brown was overcome by marijuana induced psychosis due to a minimal 12 nanograms of active THC was simply a lie, and the DA knew it. The Last American Vagabond does not condone the actions of Brown or the lethal force used by Wilson, but focuses on the claim that the entire incident was caused by marijuana. As more states continue to openly defy the Federal government’s continued denial of public opinion in regards to cannabis, these flaccid arguments will lose their effectiveness and the government will lose its scapegoat. The tide is coming, and on it rides the revival of the United States and the people’s ability to affect change within. Over the years many have built their empires on lying and deceiving the American people. These parasites directly contributed to the decline this nation has experienced in just about every category not wartime related. The day of reckoning is drawing near and those who chose personal gain over the growth of this county will be judged, not only by time’s revealing nature, but by the united voice of the true American people.